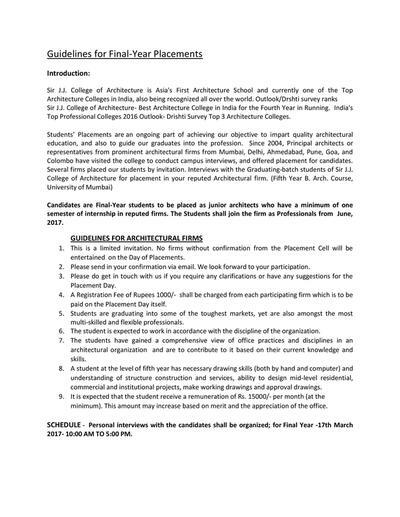 Sir J.J. College of Architecture in partnership with Saint Gobain India Pvt. Ltd., Gyproc and Ecophon Business, organised a new elective subject- “Right Acoustics in building architecture” drafted for B.Arch final year students. The elective is designed in such a way that it involves expert lecturers from Saint Gobain India Pvt. Ltd. and reputed architects and consultants well versed in acoustics subject. 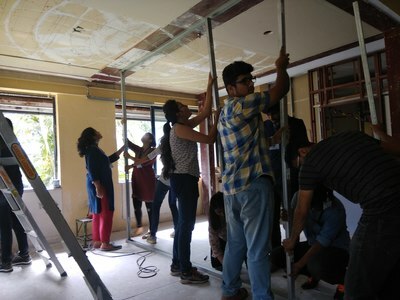 It also includes a 1 day practical session on installation of drywall partitions and grid ceilings. 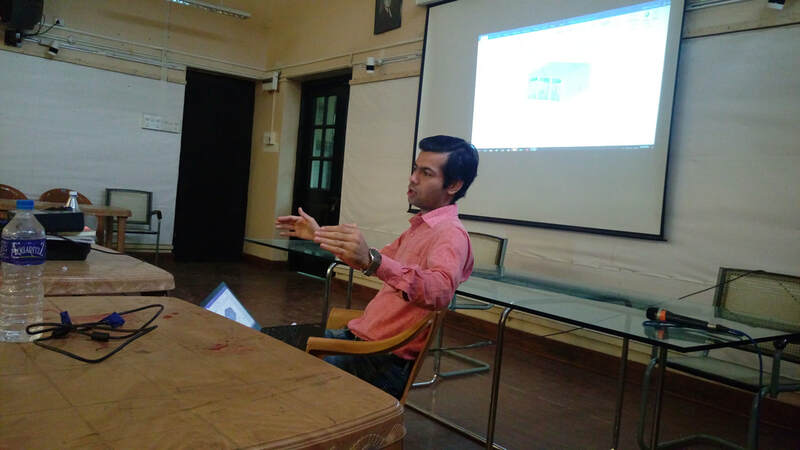 The focused sessions by the Concept Developer – Manit Ramaiya from Ecophon, and Product Manager – Bhavin Makwana from Gyproc were enriching indeed for the students. After receiving an overwhelming response from them and anticipating that this session will help students in their future endeavor, we look ahead to repeat this activity for forthcoming batches. Lecture on 6th December (Wednesday) by Prof. Nilay Mistry on "Chicago and Contemporary Urban Design". 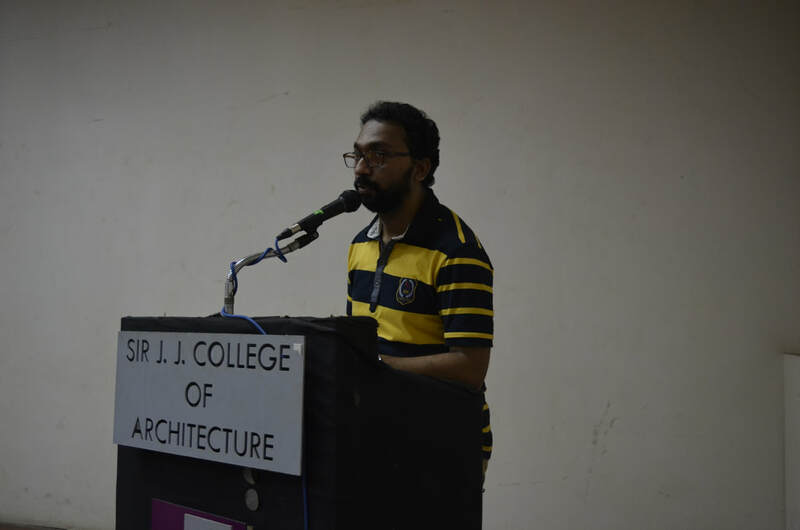 The speaker Porf.Nilay Mistry , PLA & ASLA , Landscape Architect & Urban Designer and is also a faculty member at Illinois Institute of Technology, Chicago. PLACEMENTS FOR FINAL YEAR YEAR STUDENTS. 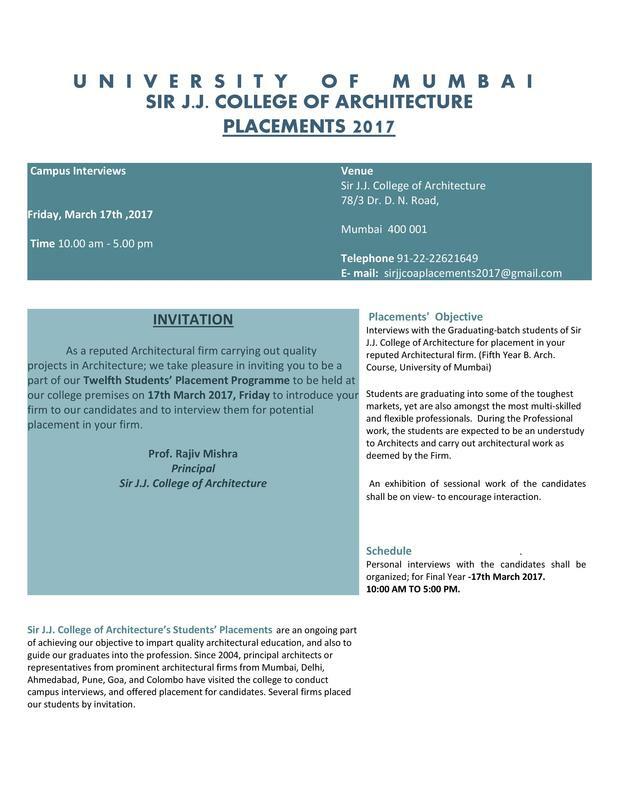 ​Sir J.J. College of Architecture is conducting placements on 17th March 2017,for the final year students passing out this year. 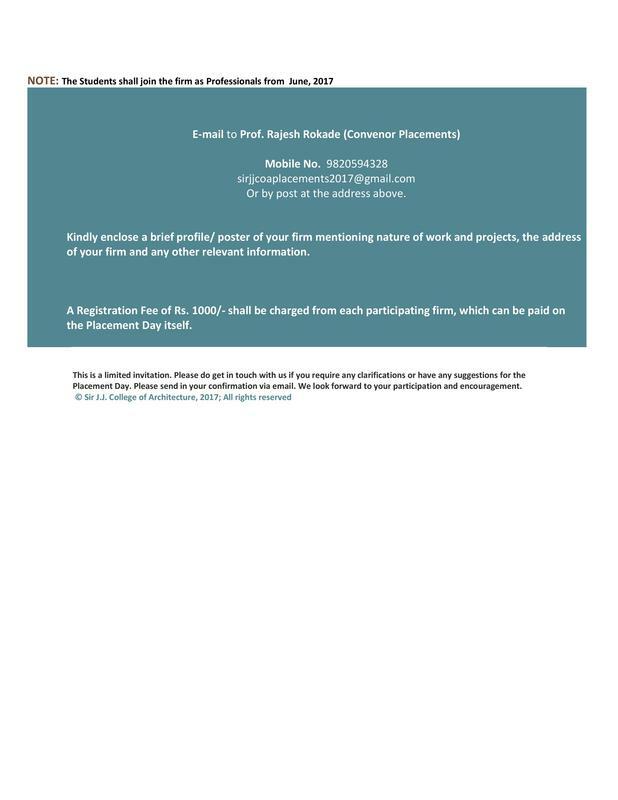 Interested firms can contact the placement cell and the information regarding the same has been mentioned in the invites. Interested firms are to confirm their registration by 15th March 2017. It has been a great year for Shilpasagar. From landmark interviews to a truly collaborative production process, the upcoming issue of the magazine has been a great learning opportunity for everybody who was associated with it. 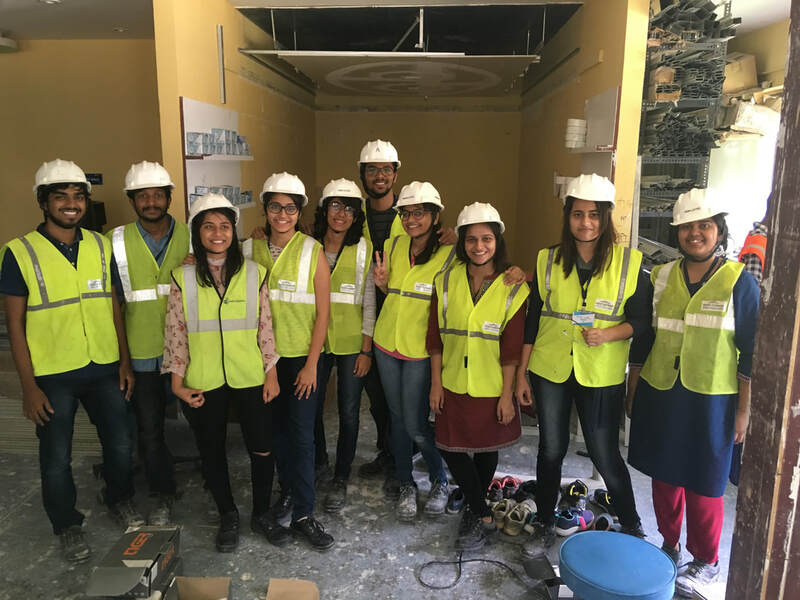 Shilpasagar 2016 is a labour of love, where the team has tried to live upto the benchmarks set up by the past issues, and the legacy they inherited. 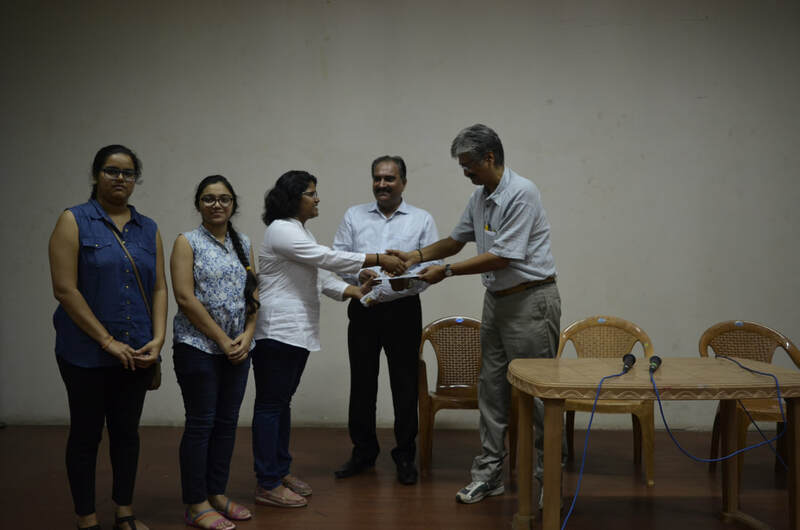 6 meritorious students (2 each from the 3rd, 4th and 5th year) were awarded a cash prize of Rs. 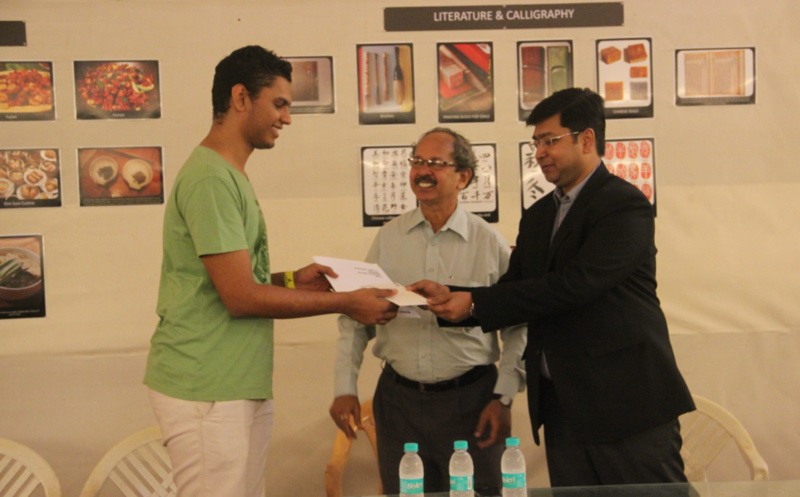 1,00,000 each on the basis of their Architectural Design folio. The selection was made in a 2-stage process - a shortlist followed by a jury. We offer our heartiest congratulations to the winners. Seminar on 3rd December, 2015 by Austrian architect Wolf Reicht on the complexity of Architectural Design: Strategies, techiques and inspirations. 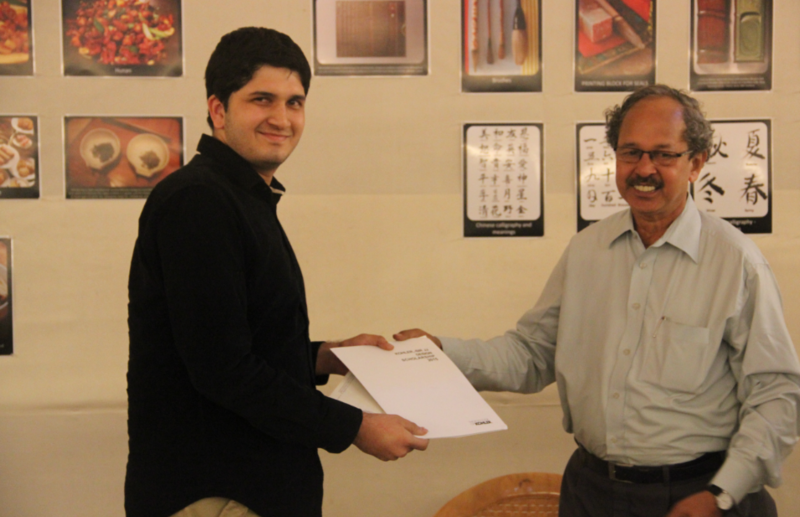 Lecture on 30th November (Monday) by Kaiwan Mehta on "Critical Appreciation of Design". The speaker is an Architectural theorist, educator, urban researcher and Managing Editor of Domus, India. Shri Dattatray Palande Awards was started in the memory of Mr. Palande, an alumni of Sir J.J College of Architecture and ex-chief architect of the BMC, by his grandson, Mr. Gautam Kulkarni. who will also make a presentation and interact with students. The event has been organized by Everest Industries. Full day workshop on "Learning Concrete" on Monday, 31st of August in the C.M. Master Hall. Registration fees are mentioned in the poster. Architect and Professor Anupama Kundoo will present her work while discussing the potential of architecture to engage with and address the complex intersections of urbanisation, people, technologies, resources and environment within the context of growing affordability issues. 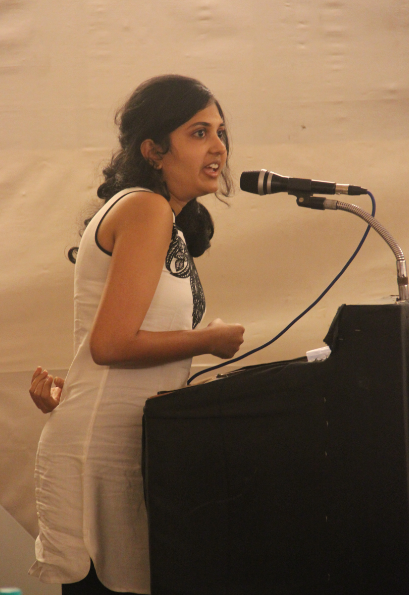 Anupama Kundoo is a practicing architect, founder and principal of Anupama Kundoo Architects operating from Madrid, Spain, as well as in Pune and Auroville, India. Since 2014 she is Professor of Environmental Technologies and Resources, as well as Chair for Affordable Habitat at the UCJC School of Architecture and Technology, Madrid. 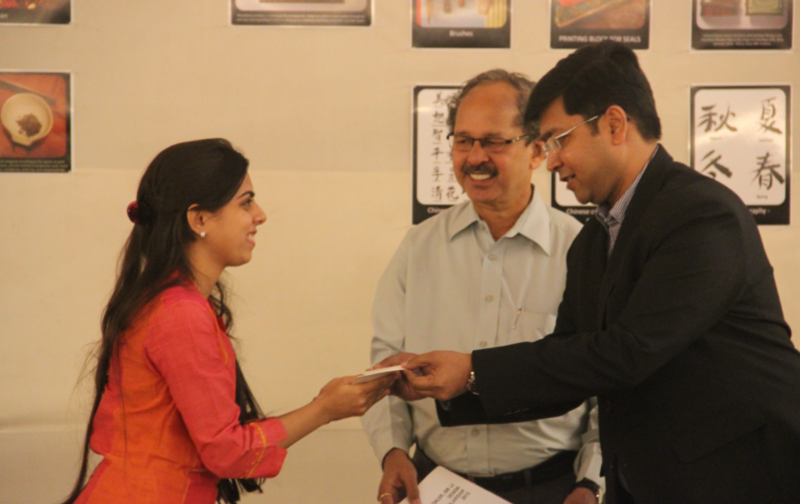 Shilpasagar 2014- the annual magazine of Sir JJ College of Architecture has won the First Runners Up Prize under the " Best Magazine Under Educational Institutes" category at the ICE Awards 2014 organized by the Shailaja Nair Foundation. 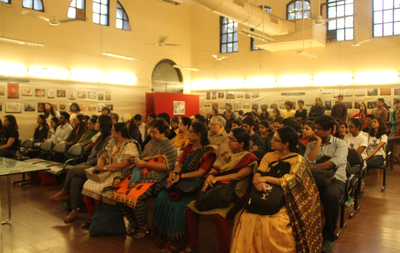 The event was organized by the Shailaja Nair Foundation and was held on the 6th of June at the I.E.S. Auditorium, Bandra. This is truly a mark of growth for all of us at Shilpasagar as we've managed to climb a notch higher than our previous year's performance (where we were the Second Runner's up) and hopefully, next year, we will nail it. It is with profound sadness that we mark the passing of Sharad Madan, distinguished architect and one of our senior most alumni. He expired on 7th June 2014 after a brief illness. He was 85. 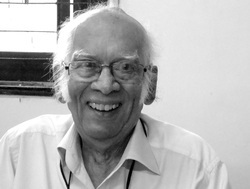 Madan Sir had perhaps the longest stint in Sir JJ College of Architecture as a Visiting Faculty- for more than 30 continuous years. His time as a teacher outdistanced the senior most full-time faculty of our college by quite a few years. I am proud to be both a student and colleague to him. For several years he was a final year Thesis Guide, and several of our best students have excelled under his mentor-ship. In recent years he taught working drawings and architectural design. 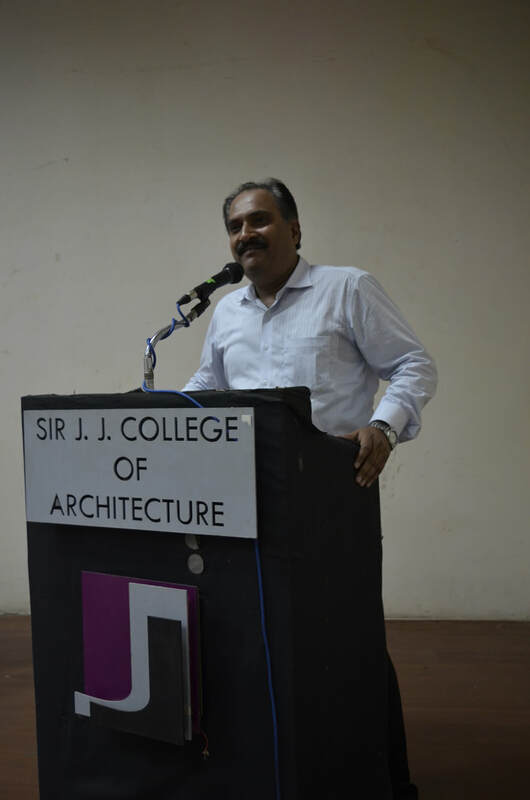 Madan Sir was always popular with the students who constantly reached out to him for his sound architectural knowledge and friendly guidance. He was one of the first to get comfortable with assessing a students work on the computer screen, a skill that some of us still struggle with. As for me, he was the backbone of the final year working drawings class that I have been coordinating for some years now. In fact, he was scheduled to stat a new academic year with me in the first week of June. His absence is acutely felt. Sharad Madan was one of the few alumni we had the privilege to know who joined the Sir JJ School of Art to study architecture in the late 40s. Solomon Reuben was the principal then, and the city was dealing with the twin challenges of independence and urban development. Madan had a long career as an architect, being one of the principals of the firm Madan, Patki and Razdan with several projects in Mumbai and beyond. The Vishnudas Bhave Sabhagriha in Vashi is one of his most notable public buildings. He was part of the first group of modernists who set up practice immediately after independence and led the way in architecture that contrasted with the work that was produced for the two decades before. Despite his achievements and vast knowledge (which he happily shared), he was self-effacing and disdained the limelight. But he could light up a studio by his grace and cheerfulness and an impeccable sartorial presence, He leaves behind are several friends, relatives, colleagues and a large number of students who owe their careers to him. 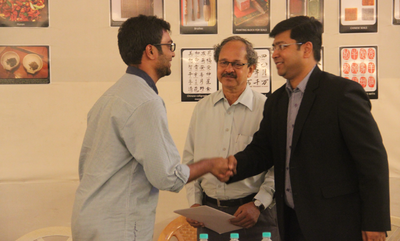 Madan Sir, thank you for everything. We will always miss you. We are very pleased to welcome Distinguished Architect Rajan Baraya and Senior Professor Joseph Fernando to our college for the COA inspection. 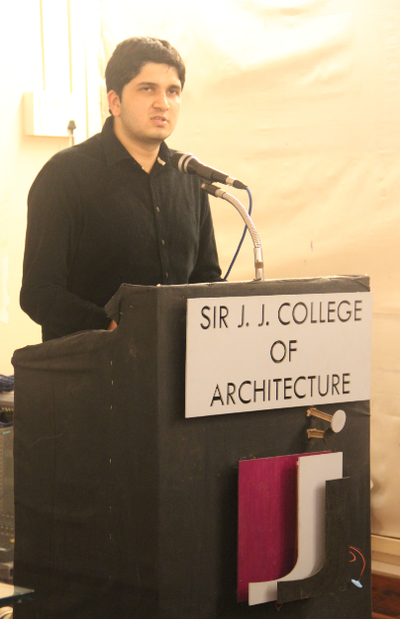 Sir JJ College of Architecture shall be inspected by the Council of Architecture on the 8th and 9th of May, 2014. Distinguished Architect Rajan Baraya from Delhi and Senior Professor Joseph Fernando from Kanyakumari shall conduct the inspection. They will meet with the principal, the faculty and the students and visit the exhibitions of students work put of for their inspection. An exhibition highlighting several FXFOWLE projects, many under Sudhir Jambhekar’s direction, will be on view in Claude Batley Hall from 26 February - 12 March, 10 - 16. Founded over 35 years ago, the practice of FXFOWLE Architects encompasses architecture, interior design, planning and urban development. With offices in New York and Washington DC, the firm is committed to innovative design inspired by urbanism, technology and sustainable strategies. FXFOWLE’s award-winning portfolio of projects spans the globe and addresses a range of scales and typologies, including office buildings; multi-family residential; mixed-use; retail; cultural facilities; K-12 and higher education institutions; corporate; not-for-profits; international projects; planning/urban design; and infrastructure/transportation. Sudhir Jambhekar joined FXFOWLE Architects in 2000 as a Senior Partner when the firm he co-founded, Jambhekar Strauss, merged with FXFOWLE. He is an architect and urban designer with nearly 50 years of experience on a wide variety of project types and scales. Sudhir approaches design as a perceptive search for meaning and usefulness, narrowing the infinite possibilities for a project to an idea that balances the forces at work in each. His approach is rooted in the belief that all elements are part of the larger whole, and each element of the built environment is not only worthy of, but requires, design excellence. As Design Partner in the firm’s International practice, Sudhir is currently overseeing seven parcels in the King Abdullah Financial District (KAFD), a massive development project that will create a new financial center for Saudi Arabia. FXFOWLE’s parcels have a total gross area of about 750,000 square meters of floor space with a mix of office, residential, educational, sports, retail, cultural and religious space. KAFD will also be home to the Museum of the Built Environment, a permanent and temporary exhibition space that will feature works related to the arts and architecture of the peninsula. 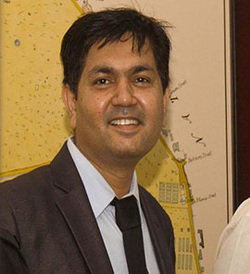 Additional projects under Sudhir’s direction include a corporate office tower in Montreal, Quebec, Canada, a landmark residential high-rise building on Carmichael Road in Mumbai, a mixed-use tower in Nantong, China, and the Sheikh Rashid bin Saeed Crossing Bridge in Dubai, which will measure 1.7 kilometers with an arch measuring 205 meters high and 667 meters long. He received a Bachelor of Architecture degree from the University of Bombay and a Master of Architecture and Urban Design from Columbia University. Heidi Blau joined FXFOWLE Architects in 2002, and was named Partner in 2004. She has over 30 years of experience translating clients’ missions into architectural form and leading them to a new understanding of the transformative role of architecture. With an accomplished manager’s skill and a teacher’s gift, Heidi leads large and complex teams through a design process characterized by a culture of collaboration and collegiality. Currently, she is Partner-in-Charge of a new building for the United Nations adjacent to its historic campus in New York City (with Maki and Associates). She is also Project Director for the Museum of the Built Environment in Riyadh, Saudi Arabia. Dedicated to art, architectural calligraphy, and the built environment, the museum includes an exhibition area, permanent collection area, and spaces for temporary exhibition and visual communication space, with special reference to aspects of the built environment. Heidi recently directed the multidisciplinary team for a series of renovations at Lincoln Center, including the expansion of the Juilliard School, the renovation of Alice Tully Hall, and the redesign of the North Plaza and West 65th Street (with Diller Scofidio + Renfro). She is a Board member of the Association of Real Estate Women and serves on the New York Advisory Board for Health Leads, a not-for-profit organization that utilizes college student resources to help break the bonds between poverty and poor health. Heidi received a Bachelor of Arts degree from Smith College and her Master of Architecture degree from Columbia University. The annual Sandhya Savant Memorial Lecture will take place on Friday, 17th January 2014 at 2:30pm at Sir J.J. College of Architecture. This lecture titled -'Working in Mumbai' will be conducted by reknowned Mumbai based architect- Rahul Mehrotra. The lecture will weave a series of narratives around architectural design, observations of the emergent urbanism, the critical engagement with the practice of conservation, research and writing as integral to the practice, interior design and the model of cross subsidies to facilitate social engagement. Bhavin Kantilal Patel, Rahul Balawant Jagtap and Manasvi Ashok Bachav have stood 1st, 2nd and 3rd respectively in the order of merit for the the Kajaria Meritorios Student Award for Architecture for the year 2013. These students will get a prize of Rs. 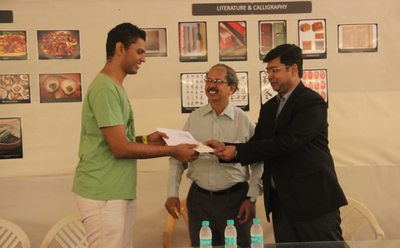 1 lakh along with certificates and trophies. The award ceremony will take place on Friday, 17th January 2014 at 1:30pm. We offer our heartiest congratulations to these students! A seminar will be conducted by Ar. 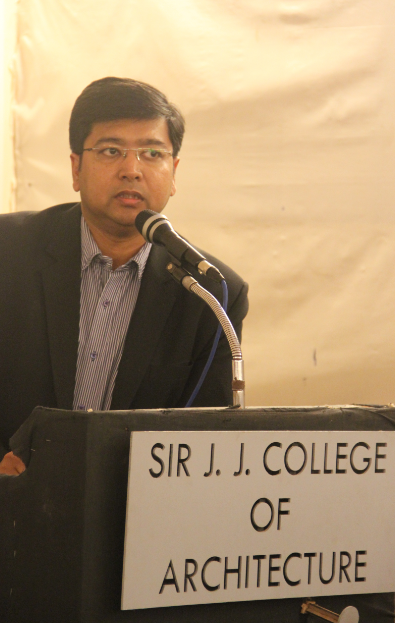 Ravi Sarangan on the works of his firm-Edifice, at Sir J.J. College of Architecture on the 23rd of December, 2013. 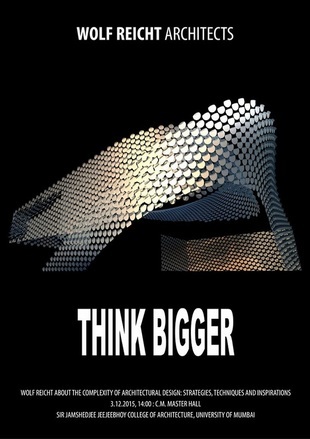 Edifice is an award winning Indian Architectural firm started by Ar. Ravi Sarangan and Ar.Sanjay Srinivasan in 1987. Over the last two decades Edifice has risen to become one of the premier design establishments in the country offering master planning, architectural and interior design consultancy services across residential, hospitality, health, education and commercial verticals. The Edifice Architectural Design Studio believes in anticipating and implementing market trends rather than following them. They aim to position and improve each design to realize full potential afforded by the development, in the broader context of the precinct. Yesterday's Architecture is Today's Heritage but Today's Architecture is Tomorrow's Heritage! Ar. Rahul Gore and Ar. Sonal Sancheti, Principals at Opolis Architects will conduct a lecture at 2pm on the 20th of December at Sir J.J. College of Architecture. Opolis is a multi-disciplinary design practice started by Ar. Rahul Gore and Ar. Sonal Sancheti in January 2001. Opolis is a young firm of qualified, comitted and sensitive professionals offering innovative design solutions. The firm has a wide range of architectural, interior and urban design projects with offices in Mumbai and Pune. It has won several awards in the young architects category of the IIA awards and the IID awards for the past years. 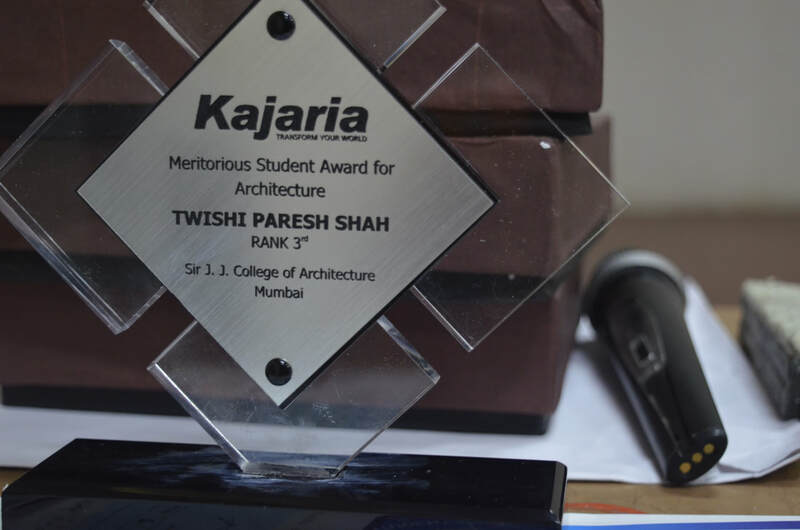 They have recently won the construction world architect and builder awards 2012 as one of the top 10 young architectural practices of India. 3,000 exhibitors including 45% international brands. More than 130,000 m² (net) of stand space. 85,000 visitors, including 50% from outside France. A leading event in home styles, MAISON&OBJET offers an international, 360° panorama of the market. Decorative items, furniture, accessories, textiles, fragrances, children's world, tableware, etc. 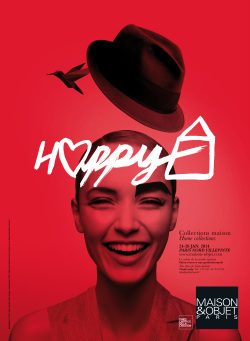 MAISON&OBJET and the City of Lights: a unique DNA! Federating all lifestyles. Bringing together all players in the sector. Selecting the best offer. Decoding new trends. Anticipating consumer movements. Proposing new sources of inspiration. Revealing talent. Stimulating the market. Promoting creativity. Creating value. Organisation SAFI, a subsidiary of Ateliers d’Art de France and Reed Expositions France. The Istituto Superiore per la Conservazione ed il restauro (ICR) is a technical body of the Ministry of Assets and Cultural Activities and Tourism, Italy and specializes in the field of restoration and conservation of works of art and cultural heritage. This institute has carried out extensive restoration work on a wide range of objects of cultural heritage such as historic structures, fountains, statues, paintings, textiles, ceramics and so on. The ICR has compiled some of its most prominent and representative work into a travelling exhibition of panels, each focusing on restoration of objects of specific type and material. Every panel is meticulously designed and comprises of the entire restoration process along with descriptive images. Bhavin Patel of Sir JJ College of Architecture has stood 3rd in the Order of Merit in the final year of the B. Arch. course in the University of Mumbai. He will be felicitated at the Convocation Hall of the University by the Vice Chancellor On the 18th of October. 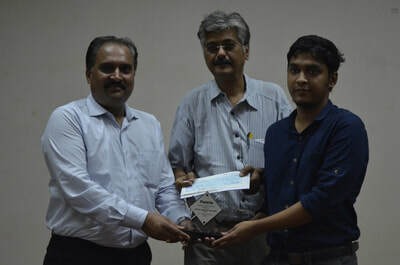 Bhavin is also the winner of the Everest Best Student Award instituted by the college. The string of meritorious graduating students from our college continues. Thank you Bhavin for adding to our laurels. The college of is proud of you. We are very pleased to announce that Professor Yashwant Pitkar has been invited to be a Jury Member at the prestigious 2nd Asian Contest of Architecture Rookies' Award for an event to take place in Osaka, Japan on 6 October 2013. Architect-poet-calligrapher H. Masud Taj featured at The International Festival of Authors, Toronto. His work has appeared in international anthologies; archived in the Special Poetry Collection of Carleton University and being installed in the new Canadian Consulate in India. Taj presented Alphabestiary (exegesis by Bruce Meyer) - a collection of poetry and prose, celebrating the international language of fauna. H. Masud Taj, oral poet, calligrapher and architect made a rousing presentation of his work at the Sir JJ College of Architecture on 30th August 2013. Invited by his former colleagues and friends in architecture and academics, he was of course, new to the large student body present for the occasion, where he held their rapt attention with his poetry, his anecdotes about architecture and practice, and a short demonstration of calligraphy. His fond memories of the late architect Nari Gandhi (a former alumnus and who had worked with Frank Lloyd Wright) and his organically conceived buildings were of particular interest. Taj has also written a long poem on Gandhi’s architecture that has been published in Bombay a few years ago (in his singular calligraphy) in a book of photographs. A recent graduate of Sir JJ College of Architecture, Anshuman Roy’s design has been placed 10th in the International Competition generically entitled “A House for Pink Floyd”. The competition was organized by ICARCH (International Competitions in Architecture), in partnership with Atelierul de Proiectare (AdeP - Design Studio) Magazinewith an aim to celebrate architecture in its most liberal, revolutionary state. The competition ambitiously focused on creating a typology of architecture inspired by the dictum "Architecture is frozen music", a true manifesto of rebellion against obsolete values of the consumerist society. The participating projects were evaluated and judged by an international jury and shall be celebrated through an exhibition hosted by the University of Architecture and Urbanism Ion Mincu of Bucharest, to be from 20th August - 10th September 2013. C.M. Master Hall, Sir J.J. College of Architecture. Ratan J. Batliboi is one of the leading architects in Mumbai and heads the prestigious firm- Ratan J. Batliboi Consultants Pvt. Ltd. Some of their diverse works in urban design and planning include Marine Drive makeover, Bandra-Worli Sealink, Yamuna Bridge and various architecture, interior and retail design projects. His firm belief lies in an integrated approach to design by challenging conventional beliefs of aesthetics and planning. It engages with a multiplicity of interdisciplinary issues concerning cost efficient effective solutions which have the characteristic hallmark of good design. Prof. Y. D. Pitkar edits a new monograph on architect Shirish Beri. 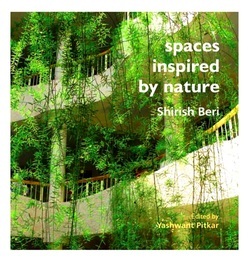 Sir JJ College of Architecture faculty Yashwant Pitkar has edited a new monograph on architect Shirish Beri called 'Spaces inspired by Nature: Shirish Beri'. The book is published by Super Book House, and is to be released soon. It will be in most prominent book stores very shortly. The monograph consists of 11 projects and 8 essays by Beri, along with his sketches and verse. It will also have a DVD of a film made by Beri called 'the unfolding white'. We are very proud to announce that Sir JJ College of Architecture, Mumbai, The Chhatrapati Shivaji Maharaj Vastu Sangrahalaya (CSMVS) Mumbai, and the Mumbai Metropolitan Region Heritage Conservation Society (MMR- HCS) shall introduce a Capacity Development Programme in Built Heritage Studies and Conservation. The first module of the course shall commence from August 2013. 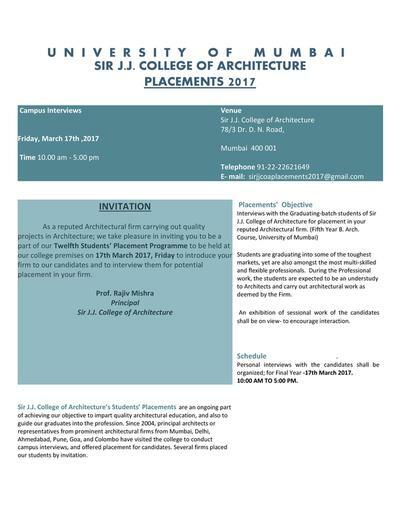 The course shall be in 6 separate modules that shall be conducted by noted experts in the field of Built Heritage and Conservation at Sir JJ College of Architecture and The Chhatrapati Shivaji Maharaj Vastu Sangrahalaya (CSMVS) Mumbai. This programme shall provide a training delivery platform so that the various stakeholders involved with the multidisciplinary conservation processes can come together to share expertise in a structured manner. These stakeholders include heritage building owners and managers, engineers, architects and planners from government institutes, employees of NGOs working on heritage issues, crafts persons, , mid career practitioners and professionals, policy makers as well as aficionados. 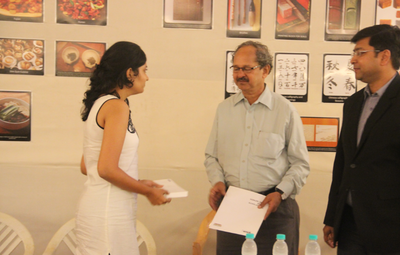 The objective of this programme is to build capacities on the practical aspects of built heritage conservation. This programme will be conducted by experts from all over the country through a series of workshops that give hands on experience in different areas of conservation such as documentation, condition assessment, materials, structural conservation, heritage management and urban conservation. Focused course material along with a list of readings will be made available on the course web-site. Participants can access the complete archive that will be specially developed for the course. The archive will be updated on a periodic basis and will consist of literature, case studies, manuals, films, maps, regulations, conservation reports and drawings. Site visits and visits of actual conservation work sites will also be organized. Participants will be given participation certificates for attending individual modules. 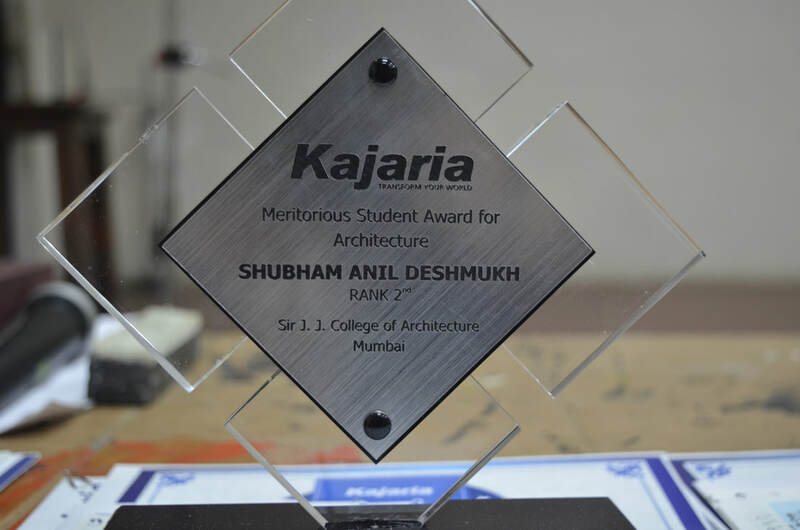 A diploma will be jointly awarded by the MMR -HCS, the CSMVS and Sir J.J. College of Architecture to participants who successfully complete all six modules. Diploma applicants have to submit written assignments at the end of each module. They are also required to successfully complete a written examination at the end of all six modules to be eligible for the diploma. Participants enrolling for individual modules may have a Graduate degree in any discipline or practical experience in architectural works. Participants enrolling for the diploma should have a graduate degree, preferably in Architecture, Civil Engineering or Fine Arts. Practitioners with relevant work experience may also enroll. All diploma applications will be screened on the basis of educational qualifications and work experience prior to granting admission to the course. Each module will be conducted for five days and will comprise of 40 hours of intensive training sessions by subject experts, specialists and other resource persons. This course is highly recommended to those who wish to develop skills and abilities to tackle challenges in conservation of heritage structures. Sir JJ College of Architecture has been ranked the BEST architecture college in the country according to the 2013 Outlook-MDRA Poll. The results of the annual survey are published in the July 1st 2013 issue. 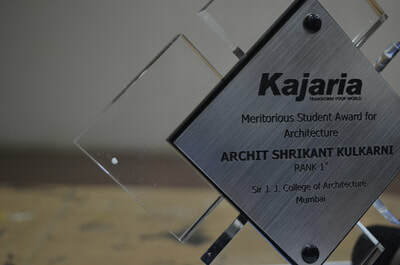 Our college has consistently been ranked in the top 3 architecture colleges in the country ever since the survey began around four years ago. This is the first time we have topped the list. Also, most appropriately, this forms the best beginning we could ever have for our Centenary Year (1913-2013) celebrations. This is to the credit of all our extraordinary students first. Thanks to all our dedicated visiting faculty who bring academic and professional richness to the learning in our college. Kudos to the full-time faculty who anchor it all. Sir J.J. College of Architecture is pleased to announce the launch of its new college website. We would like to thank the website team for taking the initiative, the permanent faculty of our college for their support and co-operation and web designer Sushrut Karpe for his brilliant design skills. 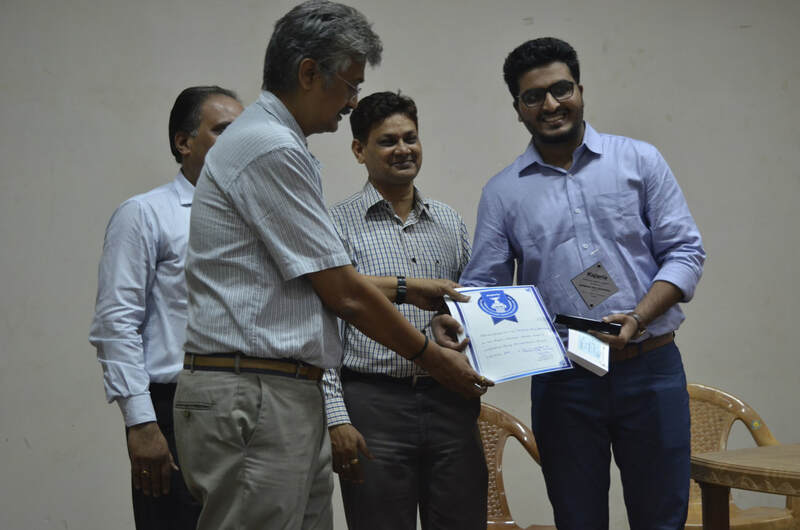 We would also like to thank Mr. Nihar Kabinettal, an alumnus of our college and the designer of the previous college website, for his assistance, without which it would not have been possible to achieve this success.